According to RAC Insurance, there would appear to be a considerable number of motorists that would not bother to tell their car insurance provider that they have received penalty points for committing a driving offence such as for being caught speeding. 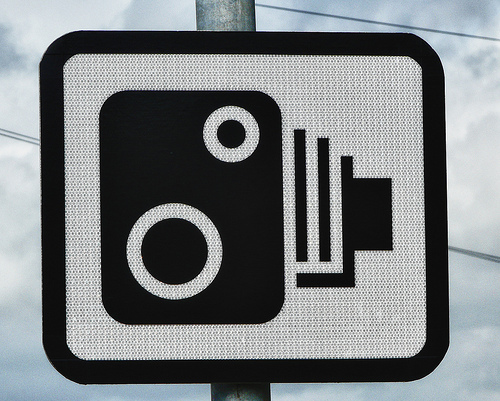 Getting caught speeding may lead to you receiving penalty points on your license and could lead to you paying more for your car insurance. Their research has revealed that in the region of 18% of drivers would not bother to let the company that provides their car insurance know that they have had some penalty points added to their driving licenses. We are sure that you will agree that that is an extremely high percentage of motorists. If you are convicted of a motoring offence and receive penalty points then you should inform your insurance company of this straight away. Under the policy terms and conditions you may find that your premium will not change until your policy comes up for renewal but you may wish to check your individual policy for the exact situation in this respect. However, you may be lucky and find that your premium is not affected if it is the first occasion that you have been given any points on your license and have been given 3 points such as due to being caught breaking the speed limit slightly– this is up to each insurance company. Failure to notify the car insurance company that you have got some penalty points could have severe consequences. For instance, if you were involved in a road traffic accident and claimed on your policy it could mean that you are not covered and the insurance company may refuse to pay out because you have failed to tell them about the penalty points. Therefore, you could be left with a huge liability to pay such as for the repairs to the vehicles involved. Surely it is not worth failing to inform your car insurance provider that you have penalty points on your driving license as the potential consequences could be severe. ← Will Insurance Premium Tax (IPT) Rise Again?